The Valdosta State University Herbarium is a museum-quality collection preserving more than 65,000 dried plant specimens useful in research and teaching. The VSU Herbarium, a unit of the Biology Department of Valdosta State University and the second largest herbarium in Georgia, is a rich repository of data emphasizing the diverse flora of the coastal plain region of Georgia and, more generally, the flora of the southeastern United States. In addition to this geographic focus, the VSU Herbarium has taxonomic specialization beyond the southeastern region, with extensive holdings of sedges (Cyperaceae) and other graminoid families, and bryophytes (mosses). Plant specimens in herbaria are the basis for the knowledge about where and when plants grow and their physical characteristics. Herbarium specimens and associated data are standards for the application of plant names and are widely used by scientists as a basis for the descriptions and distributional maps in specialized literature related to plants. Consequently, they are an essential resource for anyone who needs plant names consistently and accurately derived. The herbarium is also employed extensively to document the locations of rare species and how their populations change over time. Data from herbaria are now being used to study shifts in the timing of reproductive patterns (flowering and fruiting) of plants relating to climate change. Thus, herbarium specimens and data are useful to a variety of scientific researchers, not only botanists, but also ecologists, agricultural scientists and natural resource managers. 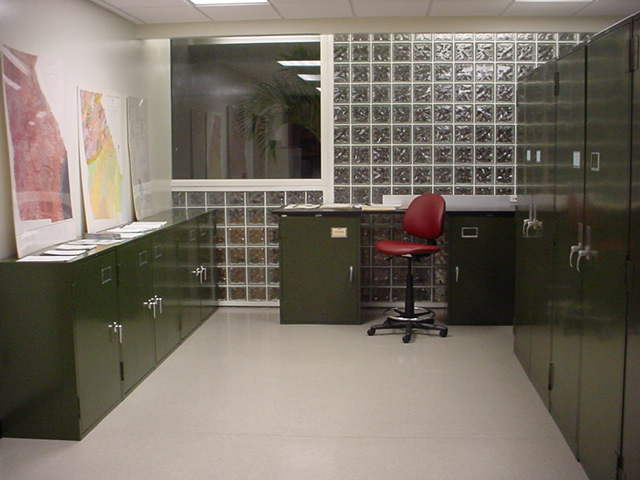 The VSU Herbarium is used intensively in research and teaching at Valdosta State University, and it provides materials used by researchers at other institutions through lending and exchange of specimens. Although it originated in the 1930s as a teaching resource of several hundred specimens collected by Professor Beatrice Nevins, the VSU Herbarium was founded as a research collection in 1967 by Professor Wayne R. Faircloth. In addition to Faircloth’s specimens, the VSU Herbarium includes significant collections of Charles Bryson, Richard Carter, Delzie Demaree, Robert Godfrey, Robert Kral, and Sidney McDaniel. Since 1984, the VSU herbarium has more than doubled in size, growing at the rate of 1000-2000 specimens per year. In 2001, the VSU Herbarium occupied new quarters with about 1500 sq. ft., more than twice the space of the old facility, and a modern dedicated climate control system with the capacity to maintain relative humidity below 60%. Additional information about the VSU Herbarium can be found here. Through support from the National Science Foundation, all of accessions in the VSU Herbarium have been imaged, and we are currently building a database of label data from these specimens. Through a local collaborative effort with the VSU Odum Library, many of these images are currently available on-line at http://herb.valdosta.edu. The VSU Herbarium needs your help in building this database!